We offer a range of luxurious hotels in stunning city locations across Europe. With their stylish designs, unforgettable service and top-class amenities, they provide the ideal setting from which to explore your destination of choice. Whether you’re planning an extended stay or you’re simply looking for a weekend break, we should have the perfect hotel for you. Famed for its historic ruins, lively street life, stunning art and mouthwatering food, Italy’s capital has plenty to entertain and enthral visitors. Step back in time at the Roman Forum, Pantheon and Colosseum, where you’ll get a glimpse of what life was like during the golden era of the ancient empire. Other must-sees include Vatican City, St Peter’s Basilica, the Trevi Fountain and the Palatin. Soak up the atmosphere of the picturesque piazzas and streets, indulge in some shopping and feast on Italian delicacies in the trattorias, pizzerias and fine dining restaurants. Exuding romance and sophistication, Venice offers a getaway unlike any other. This Italian city of marble palaces perched on a lagoon is celebrated for its waterways. Travel along the Grand Canal in a gondola and admire the stunning architecture as it unfolds along your route. Take a trip to the Palazzo Ducale and Basilica di San Marco, and discover the Renaissance masterpieces and charming churches that hide behind every corner. Raise a glass of Venice’s signature bubbly, prosecco, to toast this unique city. The cradle of the Renaissance, Florence abounds in stunning architecture and art. Everywhere you look, there’s something wondrous to feast your eyes on. This Tuscan city has hardly changed over hundreds of years. Take a walk along the cobbled streets lined with palaces that date back to the 15th and 16th centuries. Visit medieval chapels, marble basilicas and world-renowned museums boasting masterpieces from the likes of Michelangelo and Botticelli. It’s not surprising that the entire city has been designated a Unesco World Heritage site. 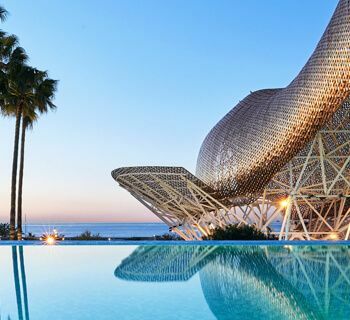 Spain’s second city and the capital of Catalunya, Barcelona has an experimental, modern and at times almost magical vibe. 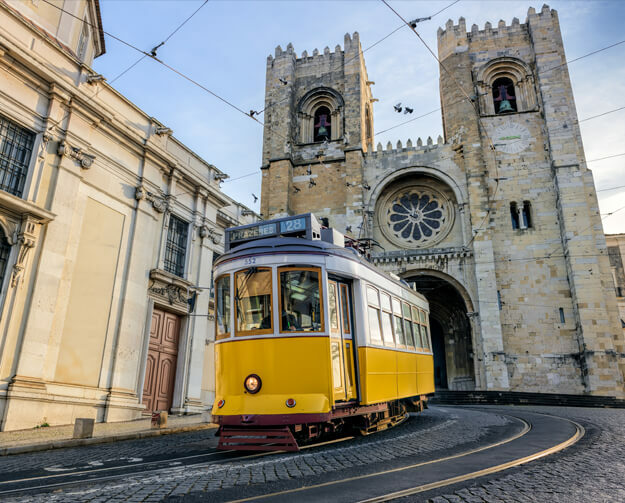 Offering world-class art museums and galleries, along with stylish shops and designer restaurants and bars, this thriving port and commercial centre has something for everyone. No visit to Barcelona is complete without seeing Antoni Gaudí’s surreal church of the Sagrada Família. Other highlights include the Gothic Quarter and the famous Ramblas boulevard. If it’s cool eateries and nightlife you’re after, make your way to the vibrant area of El Raval. You’ll find everything from secluded tapas bars to unmarked gourmet restaurants. With its iconic Acropolis and National Archaeological Museum, which houses the best collection of Greek antiquities anywhere in the world, Athens is undoubtedly a history lover’s paradise. The Greek capital has much more to offer besides though. Take a stroll through neighbourhoods such Monastiráki, Pláka and Psyrrí, and explore the city’s vibrant bazaars, chic malls, tavernas, clubs and open-air cinema to see what really makes this sun soaked metropolis tick. From the Eiffel Tower and Notre Dame cathedral to the Arc de Triomphe and avenue des Champs-Élysées, Paris is packed with stunning attractions. Other highlights include the Louvre museum, Pompidou centre and Jardin du Luxembourg. The French capital is also a great place to indulge in some serious retail therapy, offering haute couture houses and designer boutiques galore, as well as flea markets and vintage shops. Embrace your inner gourmand too, sampling dishes served up in establishments ranging from simple neighbourhood bistros to Michelin-starred restaurants. If you like the sound of these European city breaks and you’d like more inspiration, don’t hesitate to contact our friendly and experienced team. You can reach us by phone or live chat and we’ll be happy to help you plan the perfect holiday. Exuding sophistication and elegant design, the Hotel Life Gallery, Athens, provides guests with a relaxing and indulgent holiday experience. With luxury accommodation, first-class facilities and some of the city’s finest cuisine, you can’t fail to be impressed by this fabulous hotel. 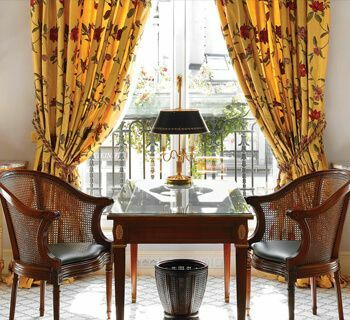 Step into a world of timeless elegance at the Hotel De Crillon, A Rosewood Hotel, Paris, where classic 18th-century opulence meets modern design. Experience a unique definition of luxury with a stay at the Hotel Le Bristol, Paris. 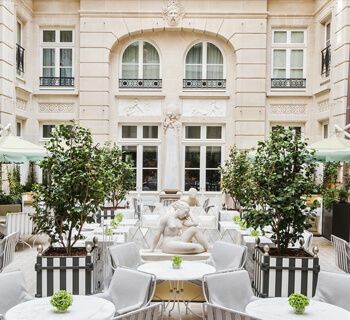 Exuding historic grandeur from every corner, this magnificent hotel exemplifies Parisian life at its most elegant.